The big picture: Short form video is poised to be the next big thing in entertainment, or at least that's the hope of several companies that are investing heavily into the experimental form of mobile storytelling. Quibi is the latest to get in on the movement. 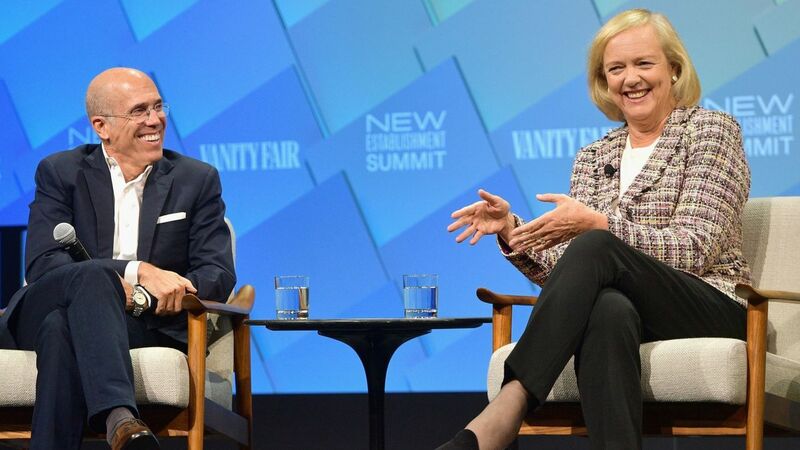 Shortly after news broke in late 2017 that Meg Whitman was planning to step down as CEO of Hewlett Packard Enterprise, she received a call from former co-worker Jeffrey Katzenberg. The media mogul was interested in partnering with Whitman on a mobile video start-up. It didn’t take long for Katzenberg to sell her on his vision which on Thursday officially became known as Quibi. Whitman was in charge of building the business and installing the corporate culture while Katzenberg handled relations with content creators and Hollywood. The service, short for quick bites of content, will feature a two-tier subscription model and target viewers in the 25-35 age range. Deadspin said it’ll offer serialized, movie-length stories told in bursts of 10 or 20 minutes. Quibi and others are venturing into uncharted territory in a bid to dictate the future of storytelling. Platforms like Snapchat and Instagram have an advantage in that they already have massive audiences whereas Quibi will have to drum up interest organically. Quibi launches next year. Pricing hasn’t yet been determined but we do know that filmmakers Guillermo del Toro, Sam Raimi and Antoine Fuqua as well as producer Jason Blum will produce content for it.